Edwards Plumbing & Heating is a local family-owned, full-service plumbing, heating, and air conditioning company that has been designing, installing, and maintaining plumbing and air conditioning systems since 1948. Our heating and air conditioning contractors strive to provide the highest quality service, and ensure that your experience is pleasant and efficient. Our team works hard to bring you the best ac repair, water heater repair and so much more so that you can enjoy your home the way you like it. Whether you are looking for residential HVAC help, or you need commercial plumbing services, we have you covered. 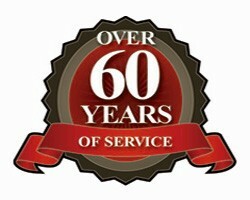 Proudly serving the Montgomery, AL community for decades, you can trust us to help you enjoy your home. Learn more about our Company History and we would love for you to meet Our Team! At Edwards Plumbing and Heating, we pride ourselves on providing the best service available as well as offering ac repair options at a fair price. Find out more about our heating and cooling services by clicking on the links below. Edwards Plumbing and Heating knows that a plumbing emergency in your home or business can be costly. That is why our team will work to create a timeline that will help you save some money. Find out more about our plumbing services by clicking on the links below. We are known for doing the job right and our experience with plumbing and hvac construction are top of the line. Because construction plumbing is hidden underground, in walls, in ceilings or in floors after the structure is complete, problems can often lie undetected. Find out more about our plumbing construction service by clicking on the link below.